Like the rest of the country, residents in Northern California must protect themselves from summertime pests. The area’s Mediterranean climate is the perfect environment for certain insects. They will be constantly on the search for the new habitats. Here are a few common pests to keep an eye out for. You definitely want to avoid the presence of mosquitoes. These bloodsuckers have always held a reputation for spreading disease. Even today, you must worry about sicknesses such as the West Nile Virus. Known for causing serious birth defects, the Zika virus has also recently become a serious threat. Fortunately, there are some effective ways to keep mosquitoes away. When hosting a cookout, be sure to keep citronella candles burning at all times. It is also a good idea to keep your windows tightly sealed and eliminate any standing water on your property. Ticks thrive in humid environments. Like mosquitoes, they feed on warm blood. While hiding in tall grass, these infectious pests can easily latch onto their victim. Your family's pets are certainly at risk of being attacked. If you plan to be outside near a wooded area, take the necessary precautions. Spread by ticks, Lyme disease is an infection that will require hospitalization. Check your body very carefully before going back indoors. Rodents remain a problem throughout the year. They are nasty creatures that can spread a numerous of serious diseases. In only takes a short period of time for mice to contaminate your entire home or business. Food contamination will eventually become a key concern. Aside from the various health problems, rodents are extremely destructive. A small crack can allow rodents to easily enter your home. Once they have established a breeding colony, you will be fighting an uphill battle. Calling a professional becomes your only legitimate option. No one wants to jeopardize their family's quality of living. There is no overlooking the important role that bees play in the local ecosystem. Nevertheless, having bees on your property puts your family at risk of being stung. When approached, Africanized honeybees will fiercely attack their victims. Wasps are equally as dangerous. Their sting can cause an allergic reaction called anaphylaxis, which is life-threatening. If you happen to see any bee hives and wasp nests around your property, take action immediately. When dealing with summertime pests, don’t make the mistake of not taking the necessary preventive measures. Sorenson Pest Control promises to give you an extra layer of protection. Our professionally trained technicians can eliminate and prevent infestations. 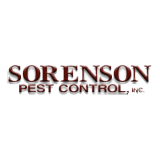 Remember, contact Sorenson Pest Control for all of your pest issues. What Kinds of Spiders Kill Other Pests?